thanks so much!!! it is still exciting to me, even after 9 yrs that flew by!!! Congrats on 9 year anniversary !!!! just got my 2nd 5th gen back in April. I kept one of my cars for 11 years. My camaro is coming up to its 7 yr anniversary. Funny thing its, I still think its my new car as I don't drive it every day. thanks, everyone. it still turns heads, even 9 yrs later. I still turn back to look at it when I walk away. I still park as far away from other cars as humanly possible. it still makes me smile every time I turn the key. I cannot believe how fast these 9 yrs flew by. July 15th I’ll say the Same!! I remember when we started becoming active on this thread.. I chose my 6 with Pride.. I got mine in June of 2010. It's a 2011 Imperial Blue Metalic 1 SS/RS & same here I will never give mine up. Not having to buy another one this late in life at 73 next month. Good to hear your are still enjoying it! These Camaros are truly enjoyable as how they are. Hope it continues to bring you enjoyment for many years. How many miles? I spent most of my money on beer and cars, the rest I just wasted. My deliver date is at the end of the year. Congrats Donna! So glad to see you still visit the forums! Donna, I was with you all the way. camaro5 was truly special back then when all the first orders were being placed and the 5th Gens were finally being delivered. I had to wait a couple of months for the delayed Summit White to be released. Mine built on 8/4/09 and finally delivered to me on 8/21/09. What a great 9+ years this has been. Congratulations on your anniversary! While I missed the excitement of the early days, I still get a lot of great comments on the car. The 5th gen has lasting value in it's design. I plan on keeping mine forever. This is so true......after 9 years the car still draws attention where ever it goes. thanks, everyone. those early days here on C5 were so exciting! Coming up on 9 years of fun also with my LS. Still turns heads with the inferno orange paint, love driving this car! Still feel like a rock star and its only a LS. Had it in the show with Keith a few yrs back, fun night in Granby, CT. I feel the same way about my 2001 Mustang GT Bullitt. Congrats! How many miles have you put on it in the 9 years? 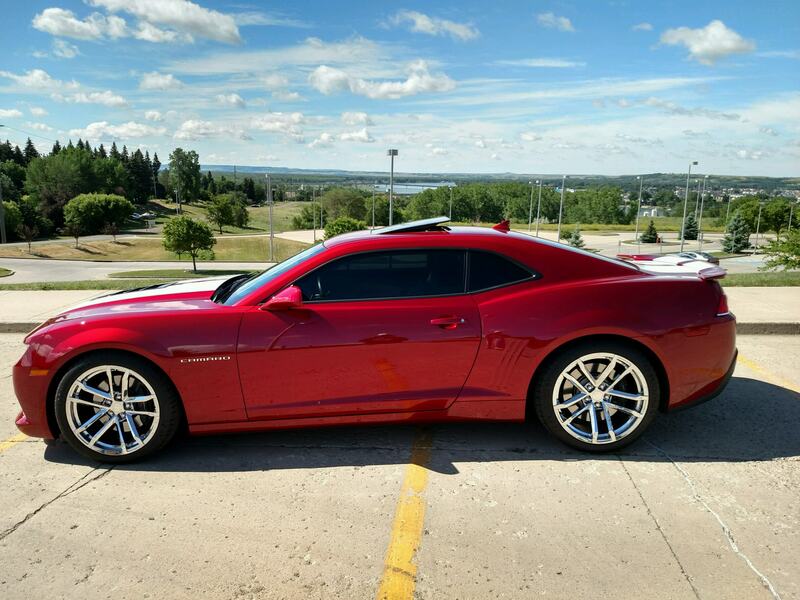 2013 2SS RS Waiting on money for mods..DONATE TODAY! My 9 years is coming up Memorial Day weekend. My dealership was closed and I had to wait until Tuesday to pick it up LOL.